Swaddling a baby helps make them feel secure and cosy, just like they did cuddled up in your womb. 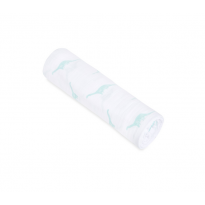 Using a swaddle blanket, wrap or pod can help baby manage their startle reflex and so feel more relaxed and sleep better. Compare parents reviews and find the product you need in ConsoBaby.